The story that had the Canadian cannabis community buzzing this week was the detailed account of the goings on inside of Cannabis Culture - specifically Mark Emery’s alleged, reprehensible behaviour. Read for yourself. Now for a story that combines both LPs and the US. Canopy Growth is building a big hemp farm in New York - and it garnered some high-level attention from Senate Minority Leader Chuck Schumer in the midst of a government shut-down. 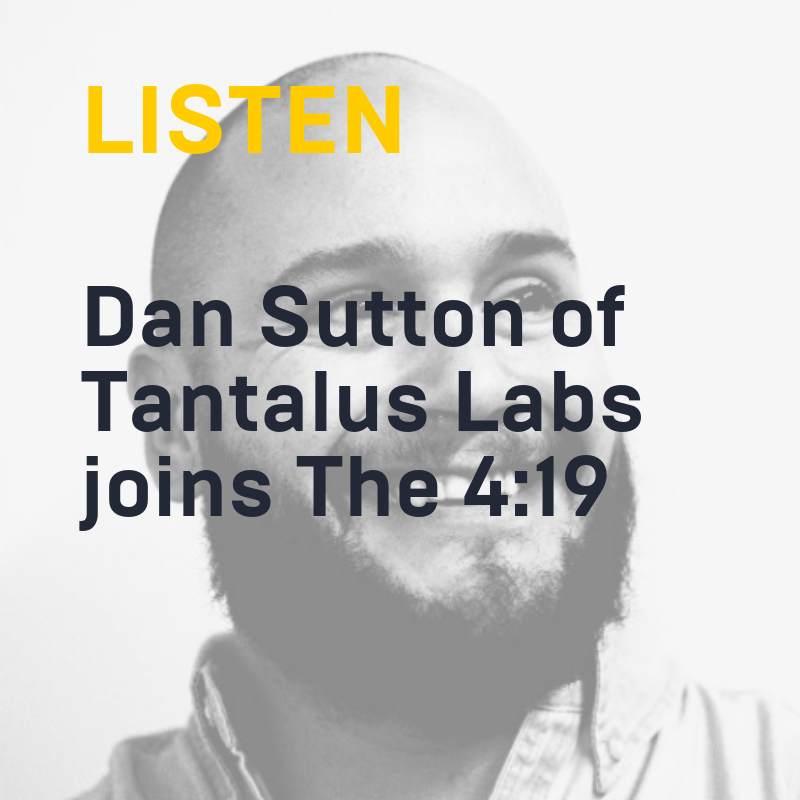 Dan Sutton of Tantalus Labs joined Business of Cannabis on The 4:19 to share what the future has in store for their BC-based LP. The fall-out from the Ontario retail cannabis lottery continues. Municipalities have until tomorrow to opt-out (and further complicate things for some of the 25 lottery winners…) And while Brampton has Council fights over retail, 4 lottery winners are looking at Hamilton, Collingwood opted in, so did St. Catherines and major retailers are looking for partners (and offering serious cash). While the Ontario bricks-and-mortar battles are underway, in California, they just approved statewide delivery - even if municipalities have opted out of retail. Could Canada be next? Finally, are you interested in how far down the path the LCBO was in setting up their model of retail cannabis in Ontario? Matt Lamers from MJ Biz Daily has some details. 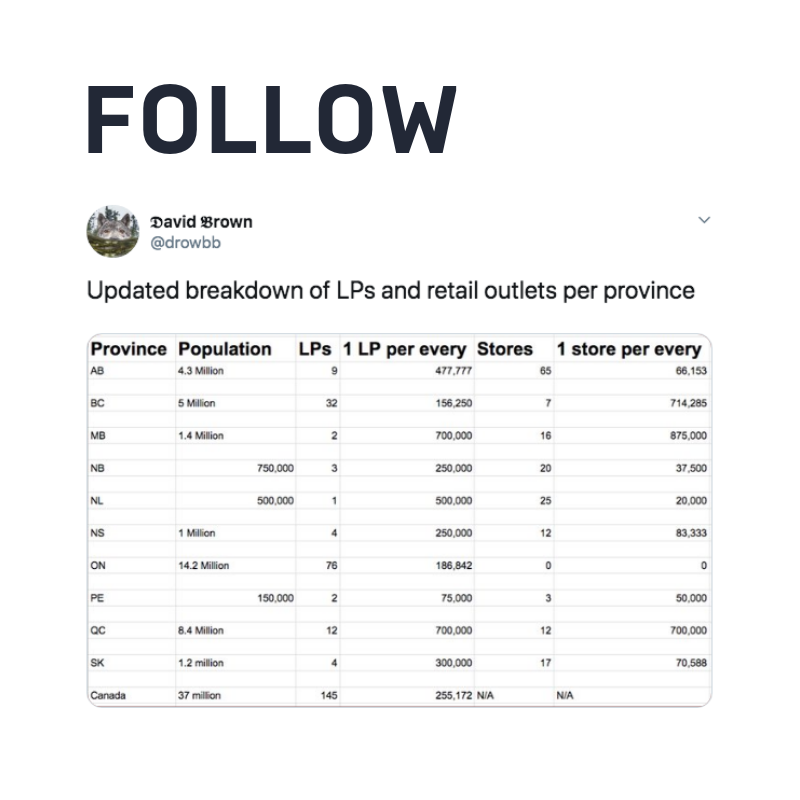 David Brown produced a nifty grid showing LPs and retail outlets per Province. Farther south, Florida is going to legalize flower!